According to IDC software industry analyst Michael Fauscette, customer experience (or CX) isn’t a technology – it’s a strategy, supported by a company culture that is manifest in employee behavior and in the design of business processes. He takes a deeper dive into SYSPRO’s commitment to creating a positive customer experience in this blog post. 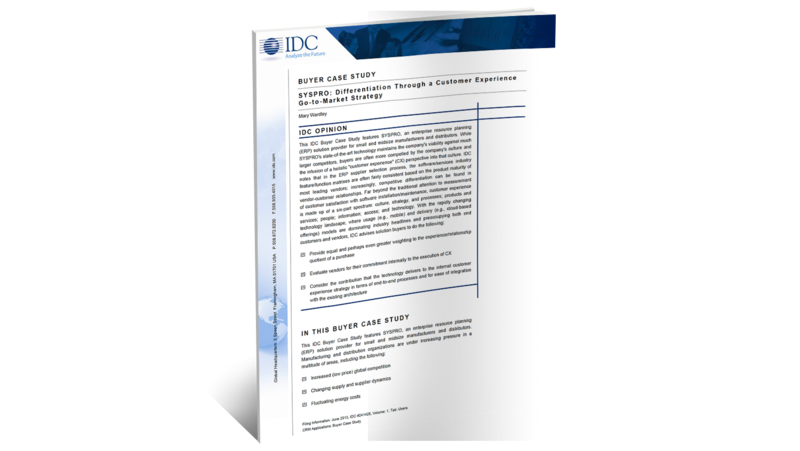 Read IDC Analyst Blog: Culture of a Customer Focused Business to learn more.